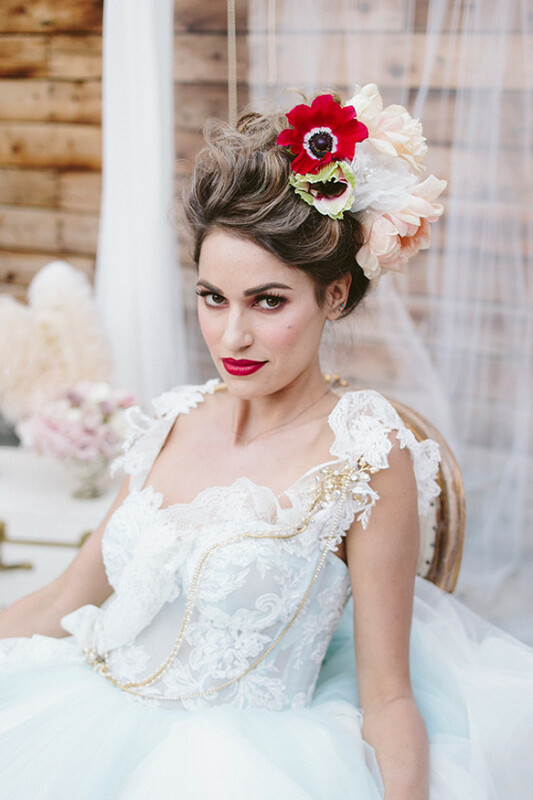 Poppy Shoppe Productions was swept up by the gorgeous colors and costuming from the movie Marie Antoinette, and it became the inspiration for this stunning shoot. 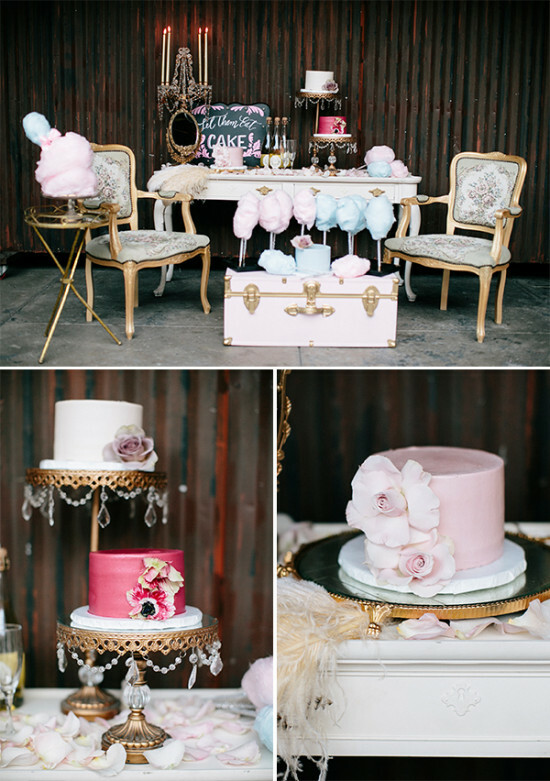 They selected a color palette that nodded to the artistry in the film: serenity, rose quartz, sheer pink, gold and just a hint of raspberry sorbet. 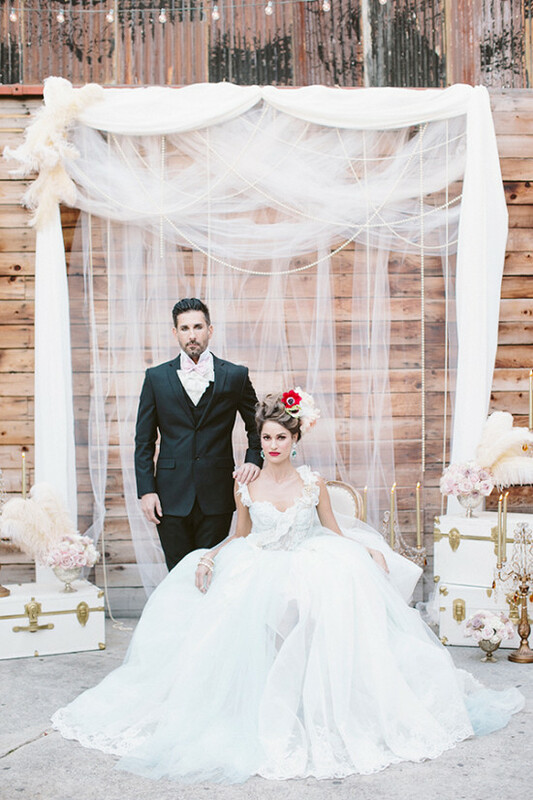 They put their own twist on the story with touches of modern edginess that has us falling head over heels in love! 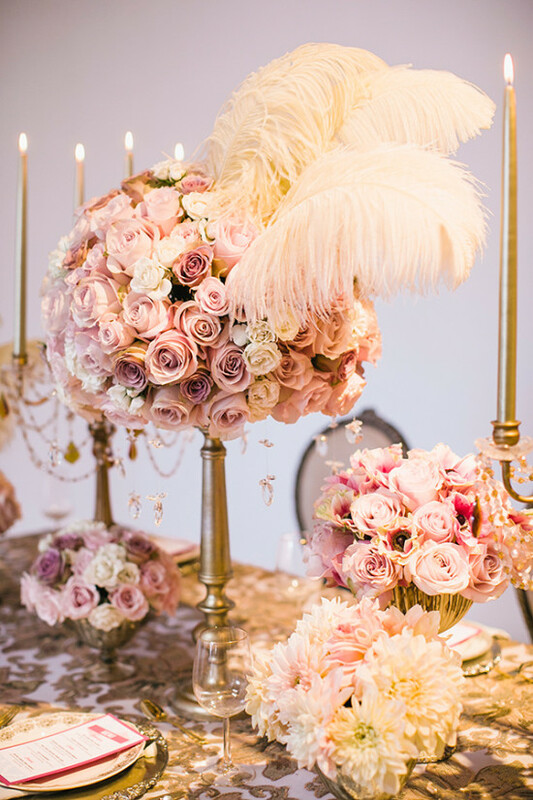 Don't miss out, gather up beautiful modern glam Marie Antoinette wedding ideas from the full gallery here, photographed by Focus Photography, Inc.
Etablir provided the rentals, they have the most amazing collection of french pieces. 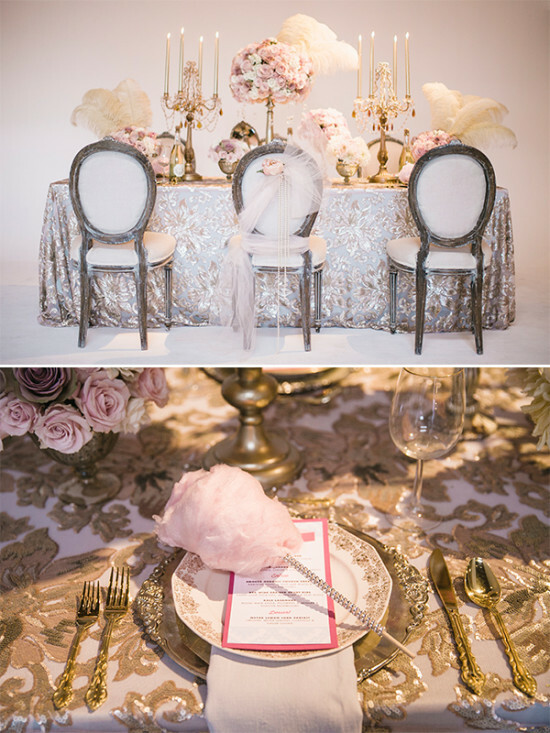 The table had to be lavish, decadent even, so we set out to find the perfect linen. We ended up selecting a very pale blue undercloth with a sheer pink overlay with gold sequined lilies from La Tavola. 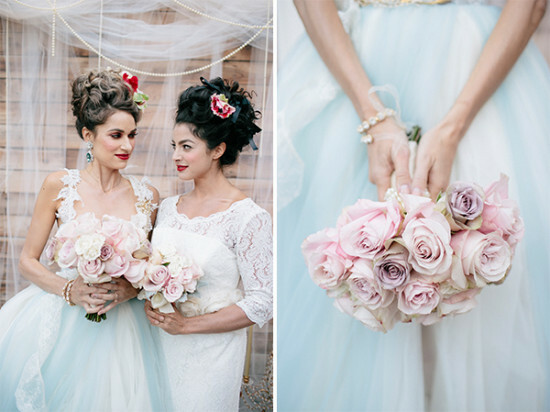 We envisioned traditional elegance with an infusion of whimsy and playfulness. 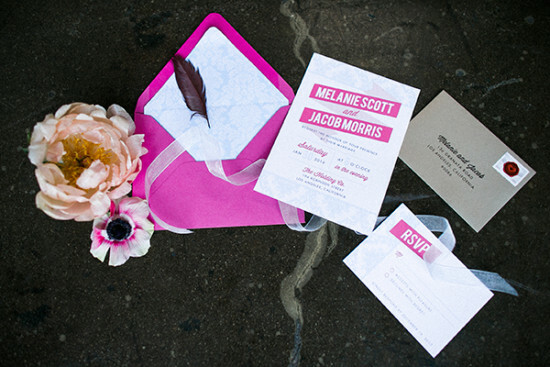 Studio La Fleur created gorgeous centerpieces with roses, anemones and dahlias while the paper goods from Paper Mint Press added a modern flare. 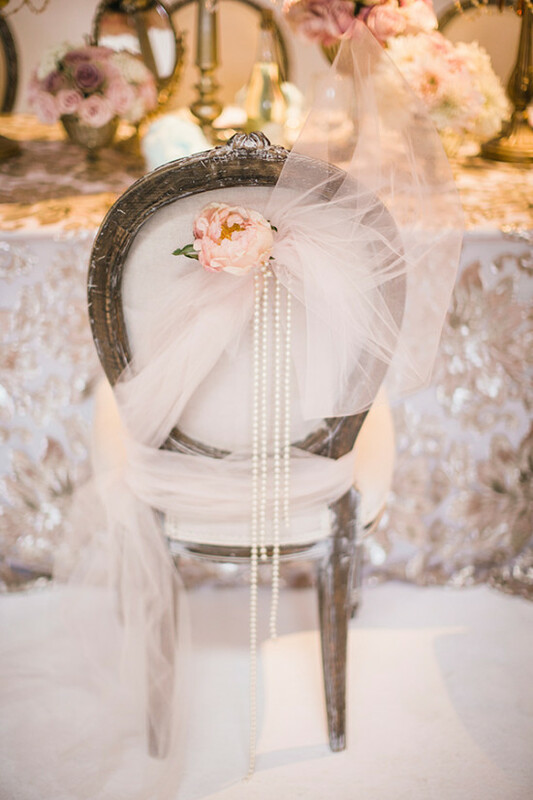 We loved the wood wall in the “backyard” so we built the ceremony backdrop out of very light shades of pink and ivory tulle, strands of pearls, and ostrich feathers so you could still see the wood peeking through. Something soft to contrast with the rawness of the wood. 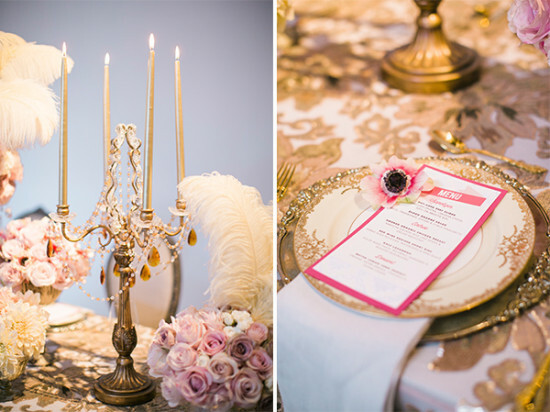 During the shoot, we used Sofia Coppola’s pink champagne as a nod to the films director. 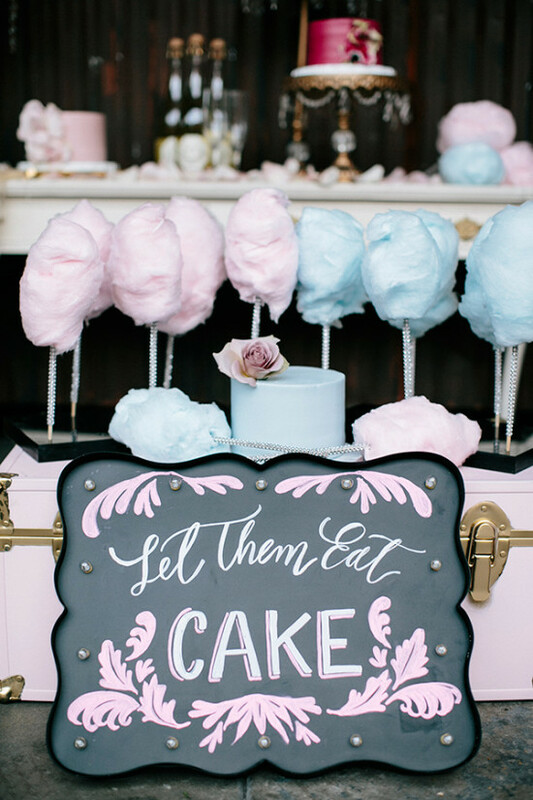 Paper Mint Press created the “Let Them Eat Cake” sign for the dessert station to keep the theme strong. 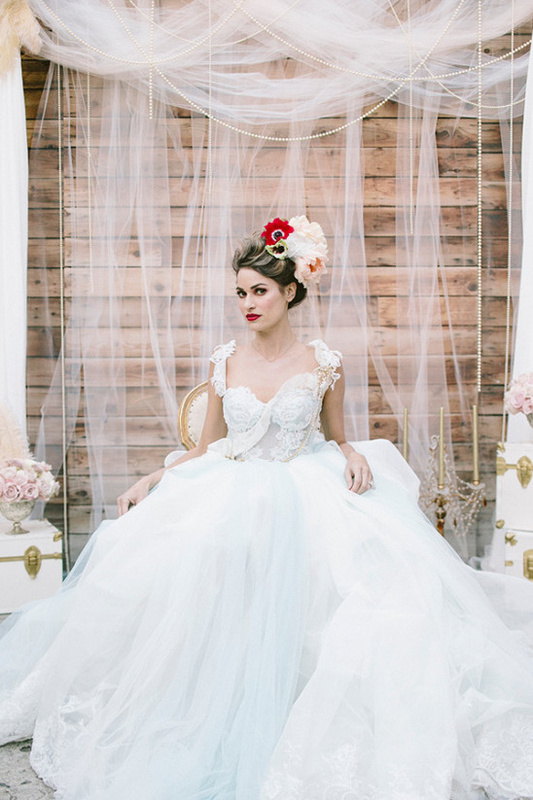 The ice blue Galia Lahav wedding dress provided by The White Dress was out of this world dreamy. The first time I saw it I got MAJOR butterflies and knew that it was a dress worthy of the queen herself. 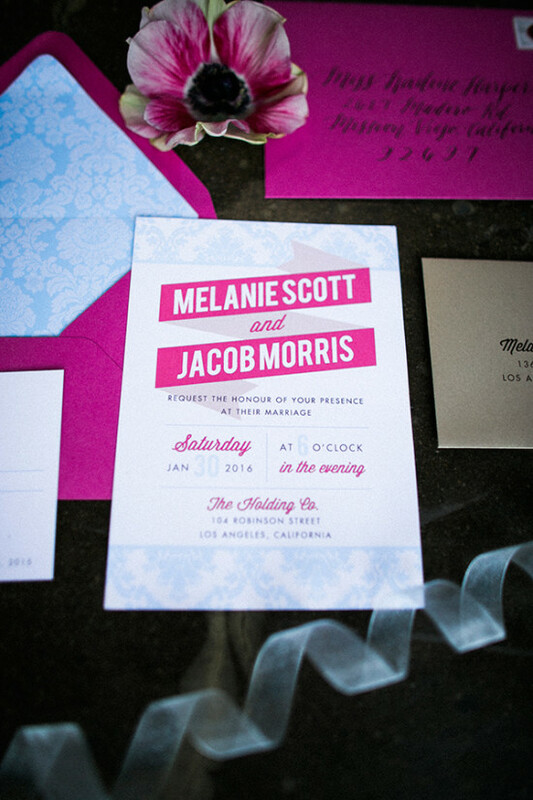 Venues & Officiants The Holding Co.